١ Grandmother (R) and mother of Muhammad Ali Khan, a student who was killed during an attack by Taliban gunmen on Army Public School, react during a visit by Imran Khan (L), chairman of Pakistan Tehrik-e-Insaf (PTI) political party, at the school in Peshawar. 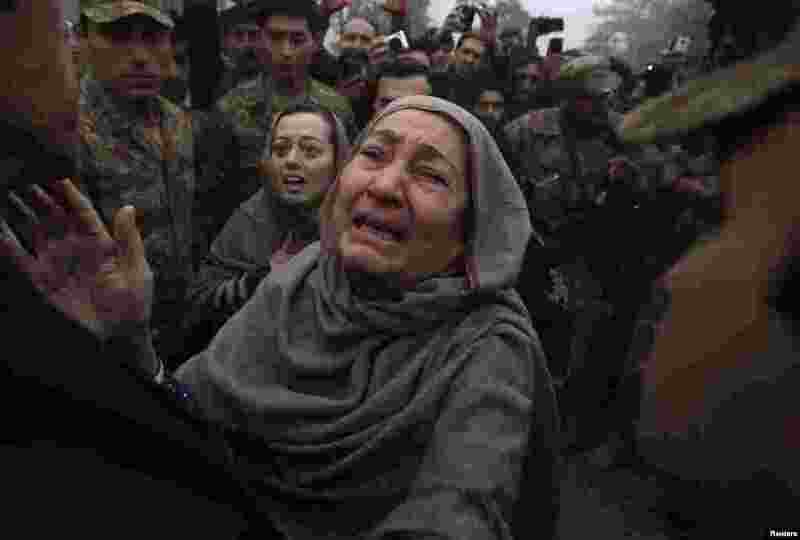 Taliban gunmen broke into the school and opened fire on Dec. 16, 2014, killing 132 students and nine staff members, witnesses said. 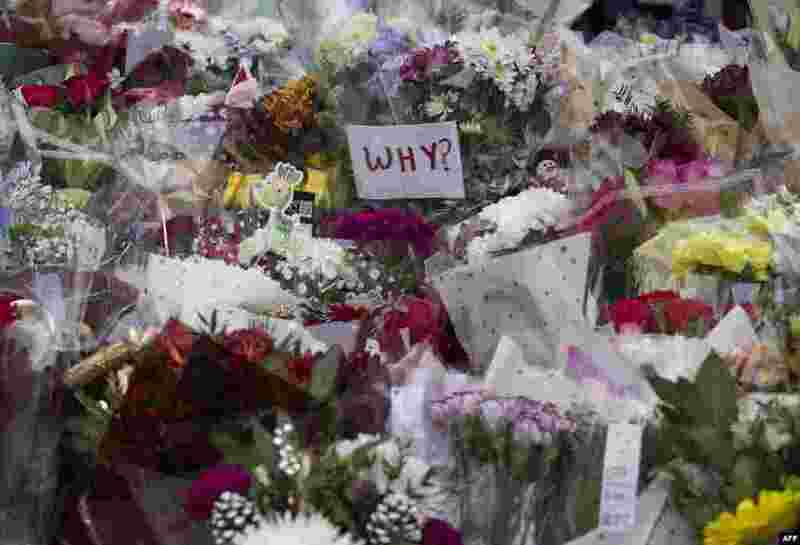 ٢ Floral tributes are placed close to the scene of a truck accident in Glasgow. Flags were flown at half-staff above Scottish government buildings to remember six people killed when an out-of-control truck ploughed into Christmas shoppers on Dec. 22, 2014. 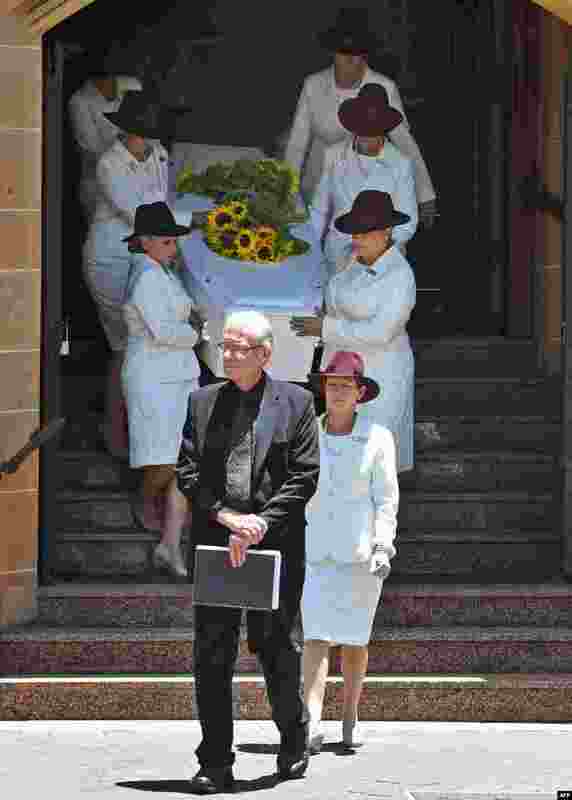 ٣ The coffin of Sydney siege victim Tori Johnson is carried to the hearse after a funeral service in Sydney, Australia. A private funeral was held for Johnson -- hailed as a hero after trying to wrestle the weapon from Iranian-born gunman Man Haron Monis. 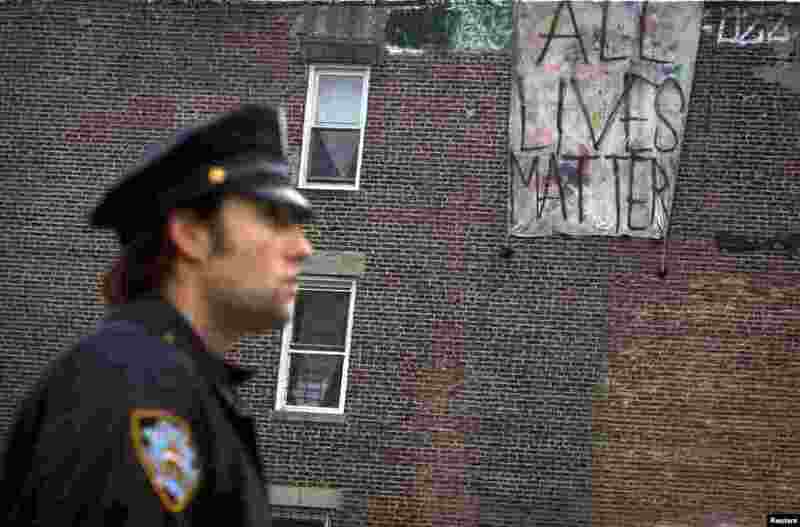 ٤ A police officer stands in front of a banner reading "All Lives Matter," hung from a building across the street from a makeshift memorial at the site where two police officers were fatally shot in the Brooklyn borough of New York, Dec. 22, 2014.